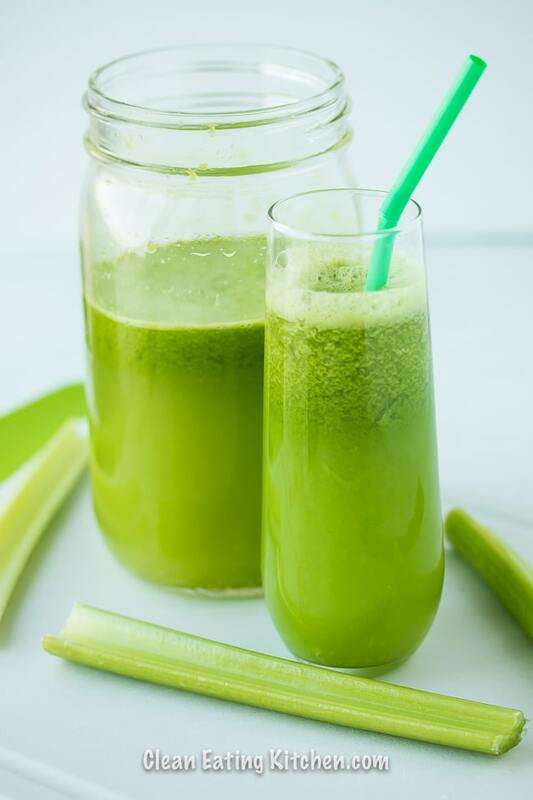 Drinking celery juice is one of the hottest health trends for health and healing. I first heard about the health benefit of celery juice from the Medical Medium podcast and books. His book Thyroid Healing was especially of interest to me, given my history of thyroid disease and a recent recurrence of Epstein Barr, as diagnosed by my functional medicine doctor. I couldn’t find any hard scientific research that supports his statements that celery juice can reverse medical conditions, but we do know that celery juice is high in natural sodium and micronutrients. As mentioned, celery is naturally loaded with sodium and antioxidants. Here’s a great article from a functional medicine website about the risks and benefits on drinking celery juice. From my own research, it appears that celery, also known as Apium graveolens, has been traditionally used in Chinese medicine for centuries. 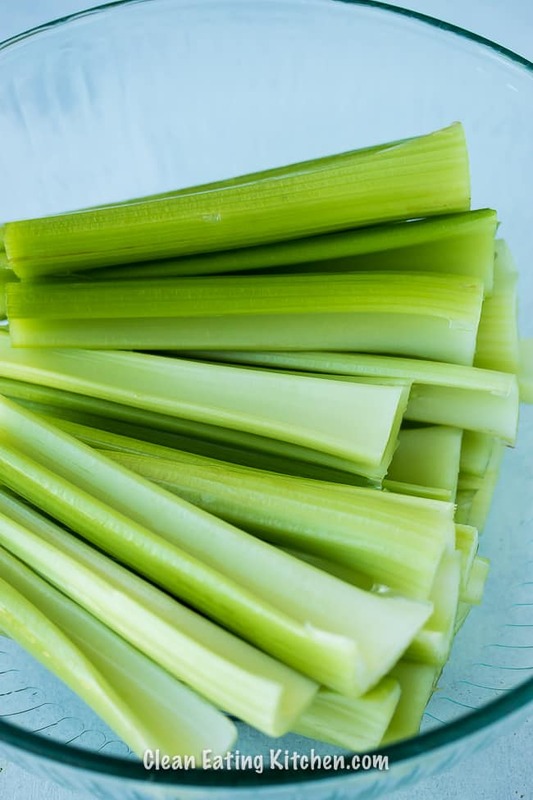 When I delved into the scientific evidence using the latin term, I found a ton of studies showing the benefits of celery, including on high cholesterol, Parkinson’s disease, infertility, and cancer. Dr. Mercola has a great article about the health benefits of celery. On the opposite side, The Paleo Mom did a pretty interesting overview of the benefits of celery, but she also disputed the benefits of drinking celery juice. 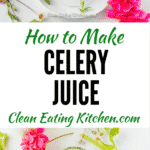 Making celery juice is actually really easy! You only need fresh celery stalks and a juicer. I recommend buying organic celery if you can, since celery is often sprayed with pesticides. If you have a high-speed blender and a nut milk bag, you can make it that way too. I included a fresh, peeled lime as an optional ingredient in my celery juice. I like how it adds brightness and some extra flavor. I’ve been known to juice an apple with the celery, too, but that’s also optional and increases the sugar content. For the Medical Medium celery juice recipe, just use 100% celery. Do not add anything else. Grab two bunches of celery and cut off the base and the top of the stalks. Wash them gently in a colander. Feed the celery through the feeding tube of your juicer. Serve the juice immediately and keep any leftovers in a tightly sealed jar in the fridge. Chop the celery stalks into thirds and place them in the base of your high-speed blender. Add 1/4 cup of water and put the lid on the blender. Blend until smooth, using the tamper to push the celery into the blades if necessary. Place a clean nut milk bag over the mouth of a pitcher and pour the blended celery through the nut milk bag. Use your hands to squeeze the celery juice through the bag. 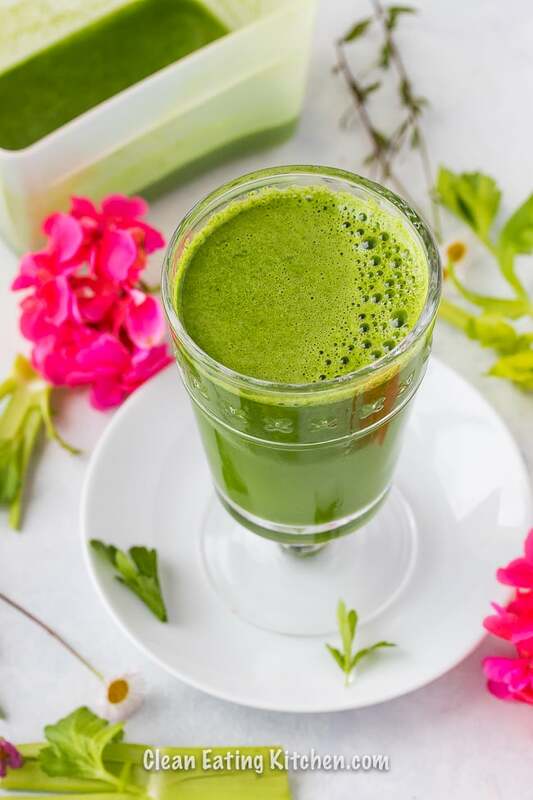 There are only anecdotal reports that drinking celery juice can help resolve autoimmune disease, heal thyroid disease, and help recover from the Epstein-Barr virus. That said, drinking celery juice might have some benefits, along with some risks. The benefits of drinking celery juice is that its high in micronutrients, especially when you drink it right after you make it. The risks of drinking celery juice include that it might raise the blood sugar of some people. The benefits of drinking celery juice is that its high in micronutrients, especially when you drink it right after you make it. 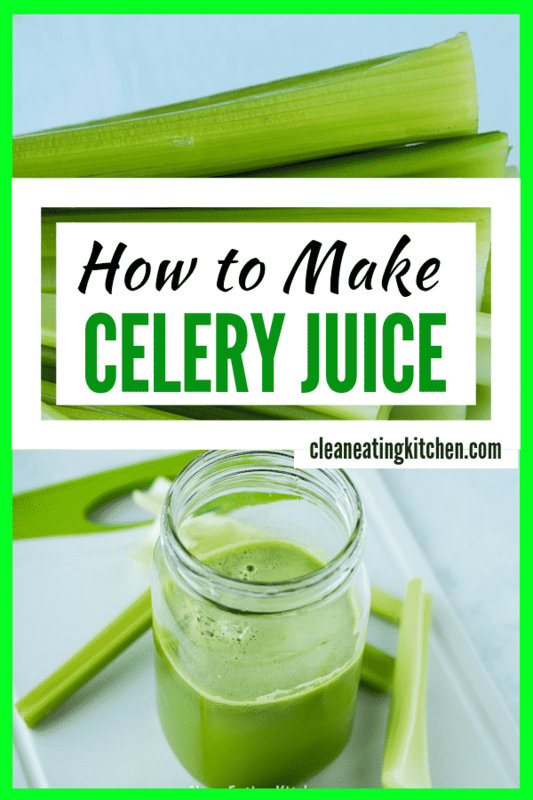 How do you make celery juice? See my printable recipe below! It’s really easy. 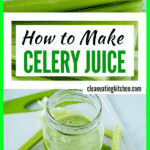 You can use a juicer or a blender to make celery juice. 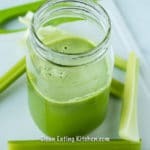 Can I make celery juice in a regular blender? I haven’t tried making celery juice in a regular blender, only a high-speed blender. If you want to try it, I would suggest chopped your celery into 1-inch pieces and adding at least 1/2 cup of water to your blender. Blend for at least a minute before straining the celery juice. Does celery juice make you poop? Well, I suppose if you’re not used to ingesting juice, it might have that effect. There is some fiber in fresh juice, but juice is usually safe for people with digestive issues. I would suggest starting with 2 ounces of celery juice to make sure your digestive system can handle it. Is celery juice good for digestion? There are a lot of claims that drinking celery juice can help reduce bloating and help with digestion. It really depends on the individual and what your digestive system is used to. Celery juice can help with digestion, but it kind of depends on what you’re used to and what state of health your gut is in when you start. Is it safe to drink celery juice everyday? It should be safe to drink celery juice everyday, but keep an eye on your symptoms and how you are feeling. If you don’t feel well after drinking celery juice everyday, then cut back to every other day. I would start with 3-4 ounces per day and increase up to 16 ounces per day, preferably in the morning before eating. It is safe as long as you aren’t experiencing any adverse effects, such as diarrhea or feeling sick after drinking it. Why do people drink celery juice on an empty stomach? 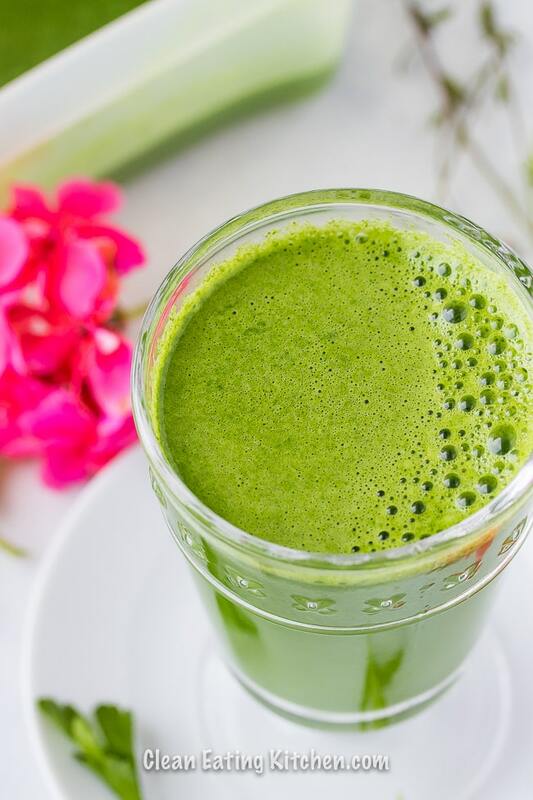 It’s thought that drinking celery juice on an empty stomach helps the body absorb more of the nourishing and healing micronutrients. Not surprisingly, it tastes like celery. I am a fan of the flavor, but sometimes I’ll juice a peeled lime and maybe an apple along with the celery for added sweetness and brightness. 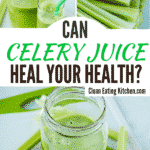 Will drinking celery juice heal my health? There are no studies backing up this claim. I tend to think that an overall healthy lifestyle with targeted support from a qualified functional medicine practitioner is the best route. Does celery juice detox your body? Celery juice can certainly can help with detoxification, especially because you’ll be getting some fiber and a lot of antioxidants. Can I drink celery juice at night? Yes, but you risk having to get up in the middle of the night to use the bathroom. It’s recommended to drink celery juice in the morning instead. How long do I wait after drinking celery juice? It’s usually recommended to wait 30 minutes after drinking celery juice before consuming anything else. This ensures that you absorb all the nutrients from the celery juice. Can you make celery juice ahead of time? Yes, but I would try to consume it within 48 hours of making it for optimal nutrition. Store it in a tightly sealed container in the refrigerator. If you want to learn more about clean eating, I’d love to send you my free e-book filled with gluten-free and dairy-free recipes. Get Clean Eating 101 for FREE! 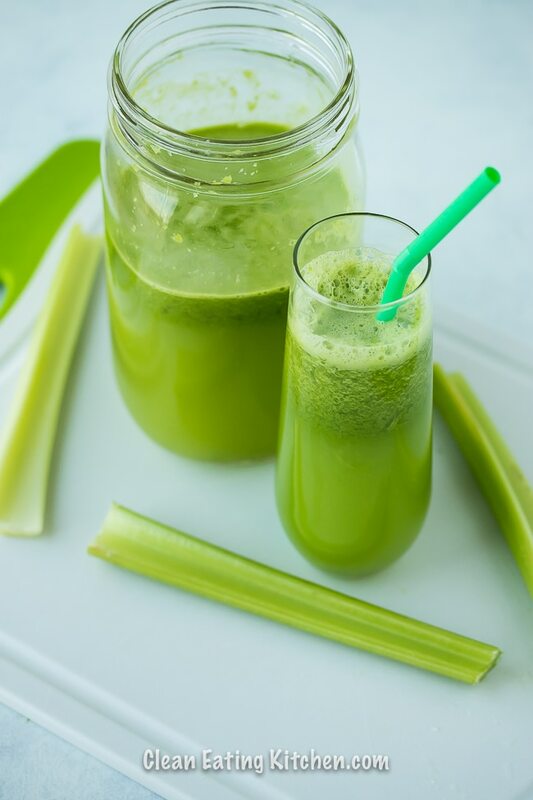 Be sure to pin this Celery Juice Recipe image to Pinterest to save it for later! READ NEXT: WELLNESS GIFT GUIDE FOR HEALTH NUTS (LIKE ME)! The lime adds so much brightness. I highly suggest juicing the lime with your celery. What is the name of your juicer ? Cost ? Can be purchased where ? I’m in need of one . Is it necessary to strain off the pulp? Does it hurt to drink the pulp with the juice? I love celery juice! Haven’t try it with lime yet but sounds pretty amazing! That’s something that Christopher and I have to get into! That looks so beautiful and delicious! Now to get the juicer! Thanks, Elaine! I could see you two kids enjoying this juice. XOXO!!! I did not know you could juice celery! My husband eat a lot of celery. I will have to pass this recipe on to him. I’ve never thought to “juice” celery, but as we get into our healthier eating habits, I can see where this will definitely help us detox. Great tips, too! I’ve been wanting to jump on the celery juice train! And this post makes me definitely want to take the plunge! Great post! This recipe is exactly what I’ve been looking for. Thanks for the blender instructions, too! 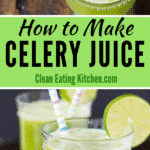 My mom loves celery juice and I am sure she will love this too. I am sharing this post to her. Thank you for sharing the recipe! The Celery Juice looks so good in pictures! Can you recommend any fruit that can go well with it? I need something more tasty so kids will also enjoy it. Apples or pears are amazing with celery, Karla! I heard so much health benefit of eating and drinking celery juice. Glad to learn more from your youtube. I was just watching a video on Youtube about the benefits of celery juice. So curious to give it a try or to find ways to incorporate it into my smoothies. It’s funny how vegetables you think of as only garnish can have such great health effects. I had no idea of celery’s effect on the body, but I’ll be drinking some. I’m a LACTO-OVO-VEGETARIAN (don’t eat meat nor seafood). l just tried this juice for the first time. Some people can’t digest all that fiber, so it’s a way to get a lot of antioxidants without causing digestive distress. My mom and my sister have been juicing celery and I’ve been hesitant to try it because I don’t like it. I love the addition of lime though. What a good idea! This juice has such a vibrant green color! I have yet to try celery juice, but that will change soon. I like the idea of adding a bit of lime to brighten the flavor profile of the juice up. Great idea! I would try this recipe based on the color alone! So pretty! 🙂 I’ve really been trying to do nothing but healthy foods recently, for all of my sports — so I think this is gonna be an amazing thing to try! This was a really interesting post Carrie. I’ve heard about celery juice being the new “it” drink but haven’t looked into the why behind the trend. Thank you for sharing this info. I think I would definitely have to add the lime as you suggested because I’m not so sure I could drink straight celery juice! I’ve never thought about the health benefits of celery. I guess I’ve always assumed it was so watery that there weren’t any besides being low calorie. Thanks for the info! Is there a reason why drinking the juice would be more beneficial than just eating celery? I love celery so I eat a lot everyday; curious if I’m missing some reason why juicing it is better. Great question, Julie! You would get more of the antioxidants by juicing since it would be impossible to eat that much celery because of the fiber. My husband and I started drinking celery juice a few weeks ago. I love it because I am definitely less bloated. It doesn’t taste great but I add a couple of green apples to help with the taste. I used to read a lot of the Medical Mediums stuff but I haven’t seen him in awhile out on social media. I’m betting this is pretty tasty with the lime juice. I had no idea celery was naturally high in natural sodium! Loving that!! have heard so much about this drink. Was looking for a good recipe to try.This one looks nice. Will surely try soon.